Jumping spiders do not construct snare webs but instead build loosely woven web treatments in a saclike form, composed of several envelopes with usually two openings. Unlike most spiders, jumping spiders are active during the daytime and seem to enjoy catching a few sun rays. They are feisty hunters and have the keenest vision of all spiders, being able to detect and react to movement up to 18 inches in distance; however, their night vision is very poor. This species can rapidly move both sideways and backward for short distances. As their name implies, they are excellent jumpers. Retreats may be built under furniture, in drapery folds, between books on bookshelves, in cracks found in wood floors, around doors and window moldings, etc. Outside retreats may be found under loose bark, between leaves, etc. Indoors, spiders will usually be found hunting around windows and doors because more insects are attracted to these areas and their vision is best in sunlit areas. Outdoors, jumping spiders are commonly seen running over tree bark, under stones and boards, on bushes, fences, decks and the outside of buildings, especially sunny areas. This is why Gunter Pest Control is the best spider exterminators in Kansas City because we care about getting rid of spiders. While they can bite, the jumping spider bite is not poisonous. They are not considered dangerous. Brown recluse spiders often live outdoors where they are typically found around rocks, utility boxes, and woodpiles. Indoors, brown recluses can be found in an undisturbed area, such as inside boxes, among papers, in seldom-used apparel and shoes, under furniture or in crevices of window moldings. Closets, attics, crawl spaces and basements are the most common brown recluse spider hiding spots. 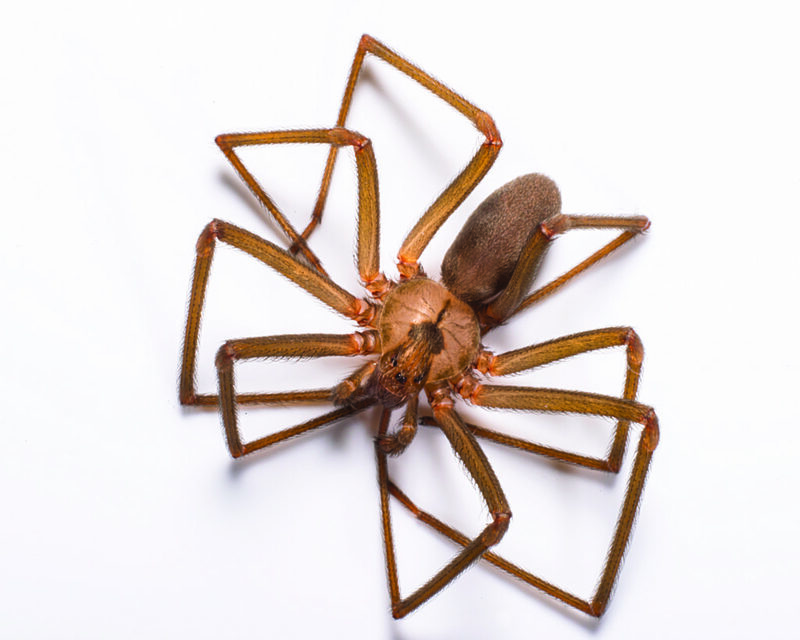 Like the black widow spider, brown recluse spider bites in defense and does not bite humans instinctively. However, both female and male brown recluse spiders can bite and inject venom. 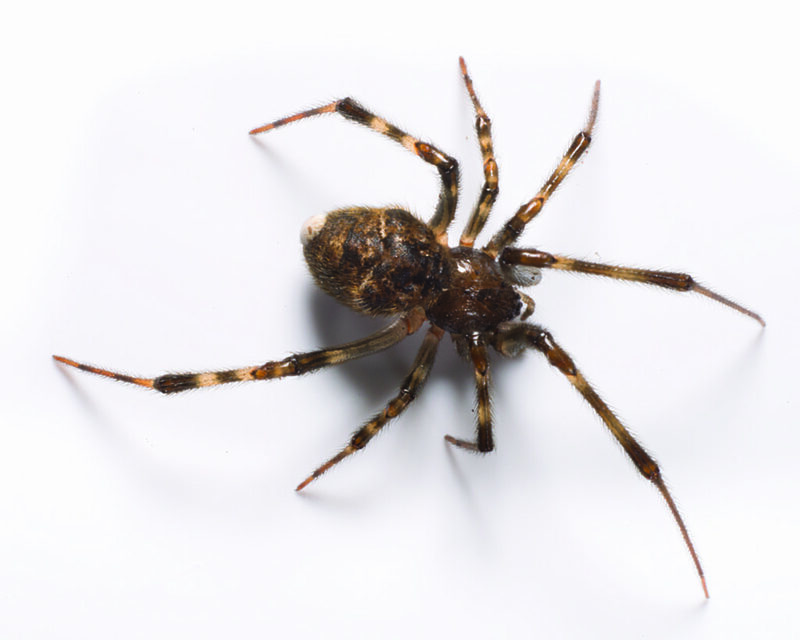 The brown recluse’s bite is usually not felt but results in a stinging sensation followed by intense pain as long as six to eight hours later. A small blister usually develops at the bite location that can turn into an open ulcer. Restlessness, fever, and difficulty sleeping are common symptoms of a brown recluse spider bite. 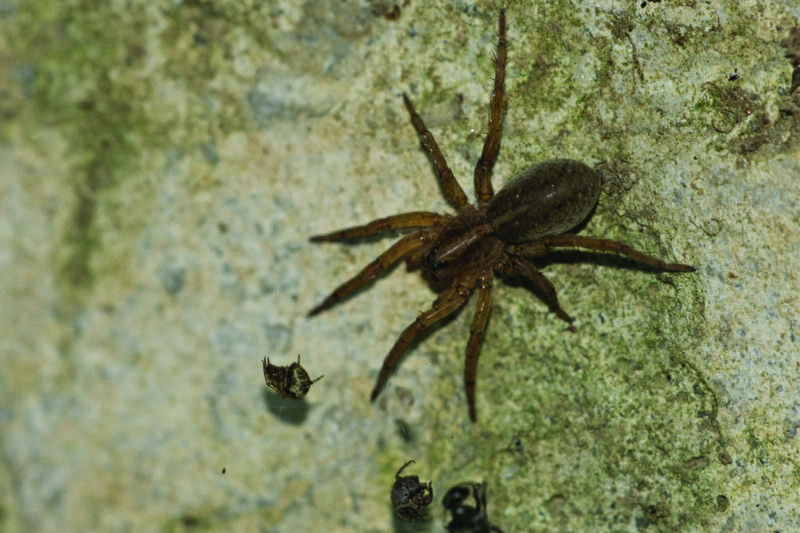 Wolf spiders may enter structures in search of prey. Although they are not inclined to be permanent residents in structures, they often consider themselves a roommate once inside your home. Indoors, wolf spiders tend to remain at or near floor level, especially along walls and under furniture. Outside, wolf spiders can be found under stones, landscape timbers, firewood, leaves and other debris. Long-bodied cellar spiders and their webs are usually found in dark and damp places, such as cellars, basements, and crawl spaces. They can also be found in the corners of garages, sheds, barns, and warehouses, on eaves, windows and ceilings, and in closets, sink cabinets and bath-traps.